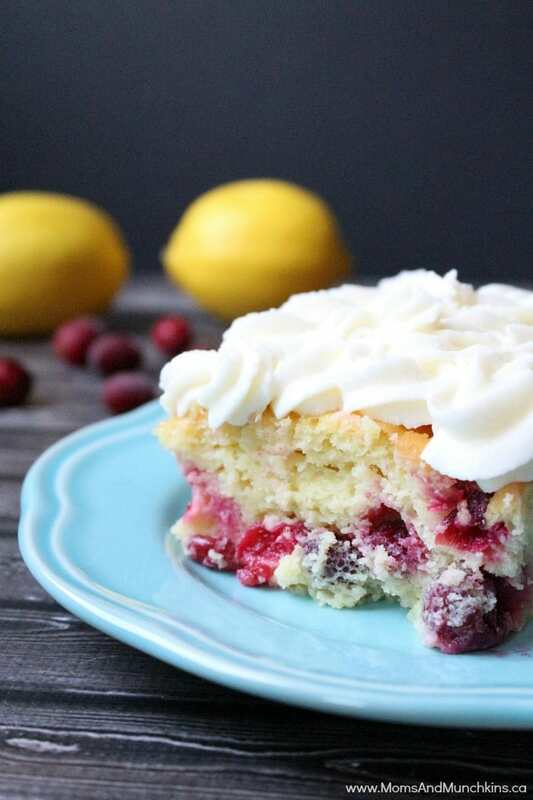 This Lemon Cranberry Cake is packed with lemon flavor! 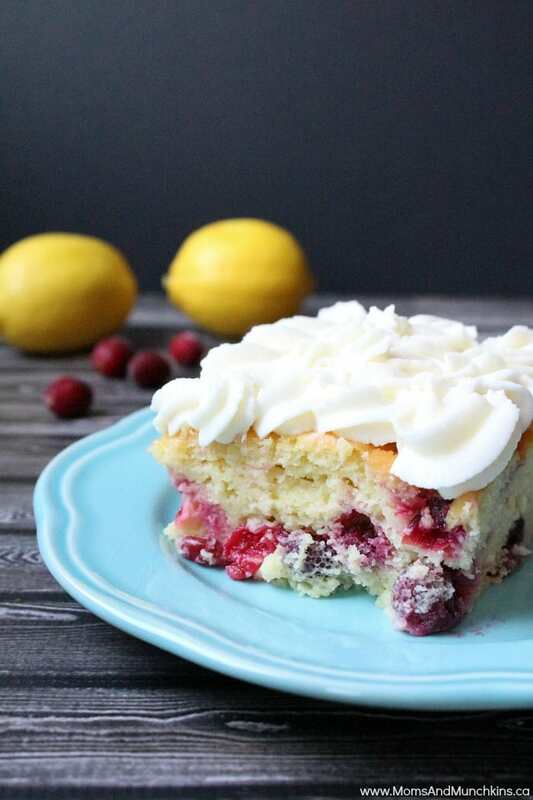 A sweet & tart cake that would be perfect for a baby shower, bridal shower or your next tea party. 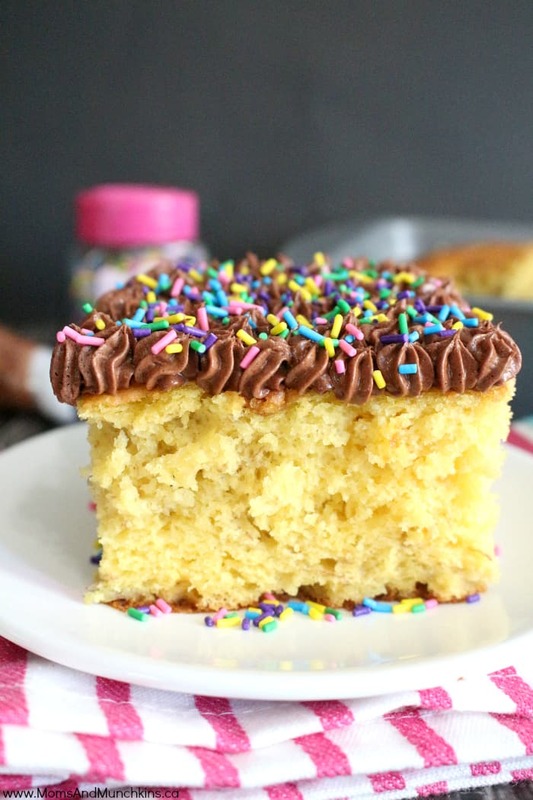 This cake starts off with a boxed cake mix so it’s really easy to make. Less time preparing the cake means you have more time for the fun part – eating the cake! I didn’t start from scratch on this cake because the cake mix fits this recipe perfectly. The lemon flavor is really strong so if you wanted something a little less flavorful, you could cut down to 2 lemons in the cake recipe. In a large bowl, stir together cake mix and dry pudding mix. Add vegetable oil, eggs, milk and lemon juice. Beat until well mixed (about 2 minutes). Pour cake batter into a greased 9x13 pan. Bake for 40-50 minutes (when toothpick inserted into center comes out clean, it's done). Beat butter, powdered sugar and lemon juice together until smooth. For more tasty recipes, visit our Recipes page. One of our favorite cakes is this Banana Cake made with a boxed mix and banana pudding mix. 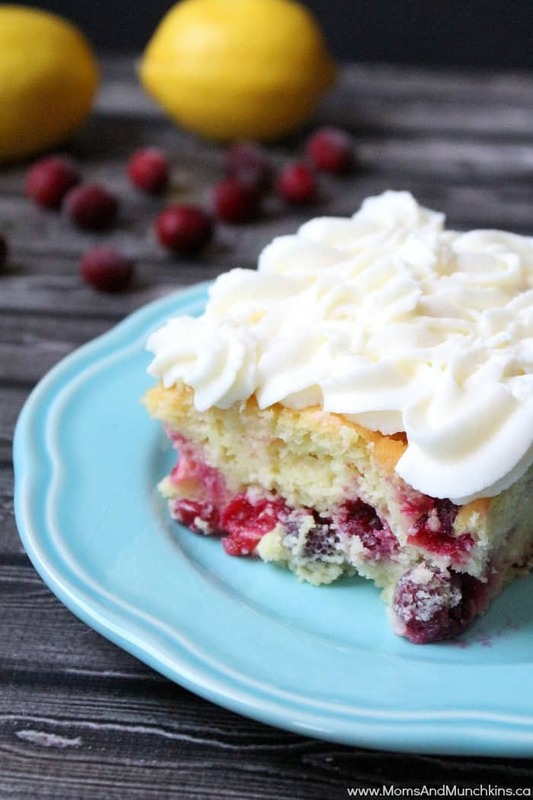 This is the cake my mom always requests for her birthday – an old family favorite! We’re always adding new and tasty ideas for family meals, parties & more! Stay updated on the latest by following us on Facebook, Pinterest, Instagram or Twitter.